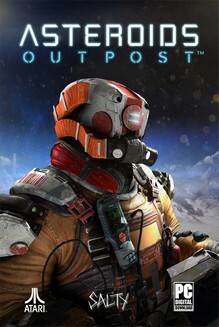 Active development on Asteroids: Outpost may have dried up mere months after its release in March of 2015 but the game was only removed from sale on Steam on October 26th. For nearly a year and a half the online-only MMO survival game has been on sale for $29.99 with no servers for unsuspecting players to even attempt to log in to. Looking at the LinkedIn profiles of the three people I could find attached to the project it appears Asteroids was abandoned by May with the departure of its game designer. The Project Lead/Lead Programmer (who was also managing the community) was gone by September 2015 and Atari’s producer who was overseeing the project just recently left the company in September of this year. With no one at the reins and a community that openly, repeatedly flagged the game it seems Valve has finally pulled the plug on Asteroids: Outpost. You can read much more about its decline on the game’s page.